The Catholic Foodie… Where food meets faith! 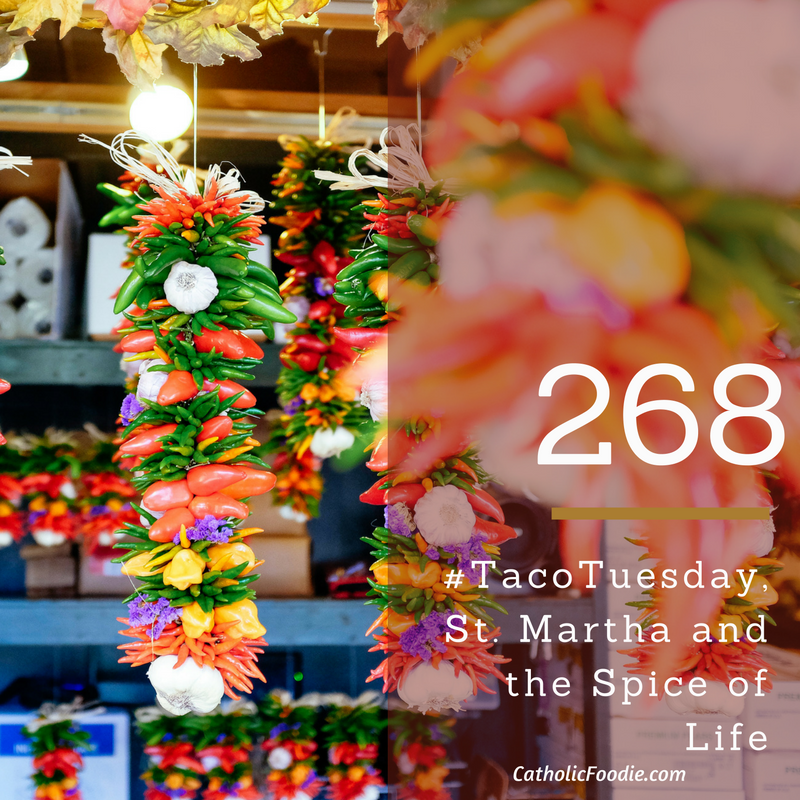 On today's The Catholic Foodie Show... it's #TacoTuesday! We talk tacos and I give you recipe for fish tacos (and I tell you about the first time that I ever tried a fish taco!). I also share with you a reflection on St. Martha who was a dear, dear friend of Jesus. Her feast day was last Friday, but she is going to encourage us today in our own friendship with Jesus and in our efforts to our best in our daily lives without losing our minds. All this and more right here on The Catholic Foodie Show... where food meets faith!